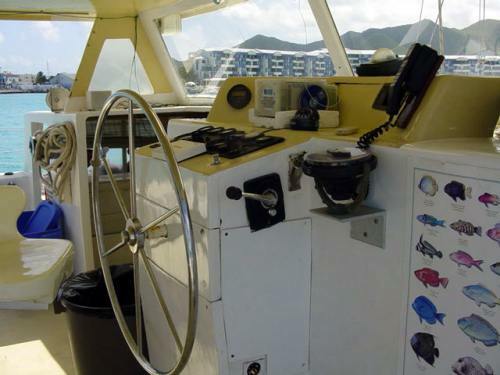 Description: PRICE REDUCED - Great dive boat or day charter boat - 62 foot Motor/Sailing Charter Catamaran for sale. Tahuna I was custom built in Galveston, Texas by Vencel Kovacevich in 1984. Tahuna I is 62 feet long with a 29 foot beam and a 4.6 foot draft. 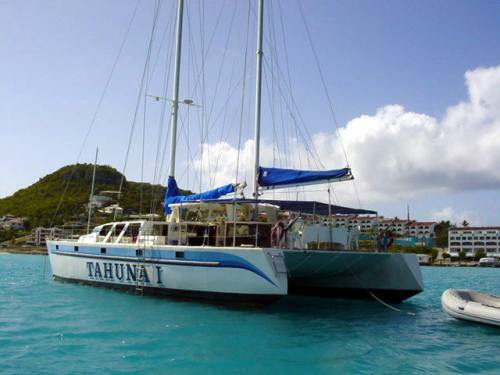 Tahuna is a motor/sailer ketch rig, with a price of $139,000. Currently drydocked in Ft. Pierce, Florida, it has brand new twin Yanmar 120 turbo diesel intercooled engines, new props, shafts & bearings. Originally built in America to travel around the world, it was later used as a day charter boat in St. Maarten, certified for 52 passengers. 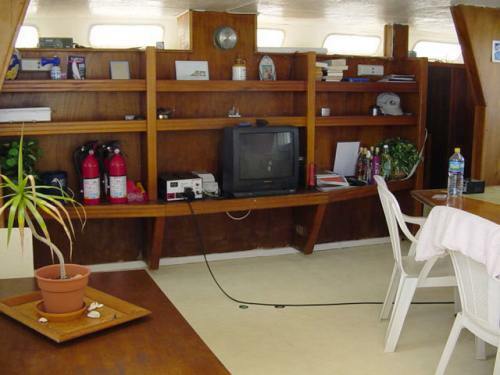 Tahuna has a bar area and lots of built-in seating in the stern, a large deck for passengers to lounge on, and a nice big saloon with a built in entertainment center or bookshelves area, table, and several areas of built-in seating. 2 double berths, 3 heads (not installed). 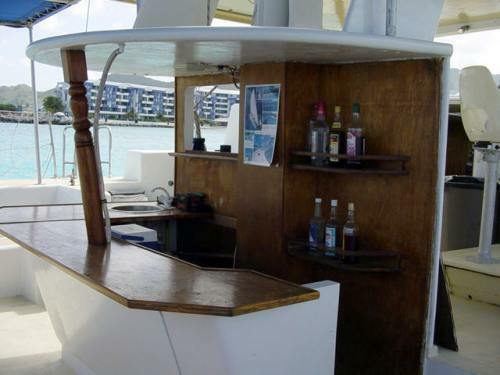 Large bar and party area in stern, large lounge area on deck. Saloon has table and lots of built in seating, and a bookshelves or entertainment area. Wet exhaust system, hydraulic steering. Hull in good shape, needs interior work. Two 288 gallon fuel tanks plus two 22 gallon headers, two 40 gallon water tanks. 2 electric anchor windlasses, 8 auto/manual bilge pumps, multiple heavy duty 2 and 3-speed geared winches. Genoa sail on roller furling stay; needs main and mizzen. Two 45 pound anchors, one is a claw. Low aspect ratio keels. Interior ready for refitting. 52 life jackets.